Lee opened CLGTC in 1992, and has over 45 years of coaching experience. He is a graduate of Northern Illinois University with a bachelor’s degree in physical education. Lee competed in college on a full gymnastics scholarship, which had 11 junior gymnasts on the National team. Over his career he has coached 2 Olympic gymnasts: one being 3-time world champion and 2-time Olympian Kurt Thomas. Lee works with our Optional Team and the HS Team. Lisa worked with Lee to open CLGTC in 1992. 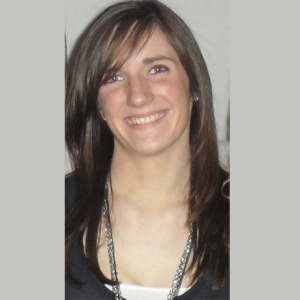 Lisa was a Level 10 gymnast and a graduate from Illinois State University with degrees in Education and Sociology. She taught 1st grade for 4 years. Lisa works with our Optional Team and HS Team on Beam and Floor. She is a mother to two children. Lizzie was a gymnast at CLGTC for 7 years. Lizzie has been a member of the CLGTC coaching staff since 1998. She also holds a current Level 10 judging rating and has been judging gymnastics competitions for over 15 years. She is a graduate of Ripon College in Wisconsin with a dual degree in Biology and Psychology. Lizzie is our Compulsory and Xcel Team Director, coach, and works in the office. She is a mother to two children. 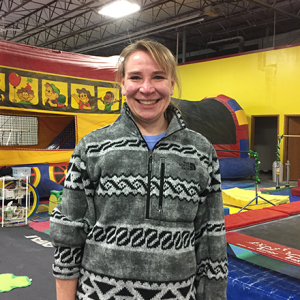 Heather Gebhardt has been with Crystal Lake Gymnastics for over 20 years. Starting out as a gymnast. She was a level 10 and had many accomplishments throughout her career. She started coaching in 2011. She has attended many clinics and educational programs to further her coaching. She works with our Optional Team on Beam and Floor. Colleen was a level 9/10 gymnast with Crystal Lake for most of her career until she finally quit when she was 24! Colleen has been coaching since 2008, most of which was at CLGTC. Colleen works with our Compulsory and Xcel Team. Lexi was a gymnast at CLGTC for 13 years. Lexi has coached for over 10 years and been a member of the CLGTC staff since 2016. Lexi has a degree in science and has previously worked in the healthcare field. Lexi works with our Rec and Team programs. She is a mother to two children. Jenni has over 20 years of coaching experience. 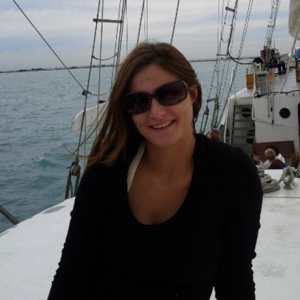 Jenni is a graduate of Eastern Illinois University with a degree in Speech Communications. She previously taught pre-school in Wauconda. She has been a member of the CLGTC staff since 1998. 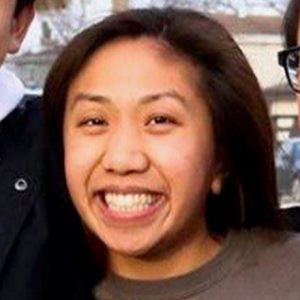 Jenni works with our Little Flippers, Hot Shots, and works in the office. She is a mother to two children. Kera has been coaching since 2013. Before closing in 2017, Kera was the Preschool Director at Spring Hill Gymnastics. 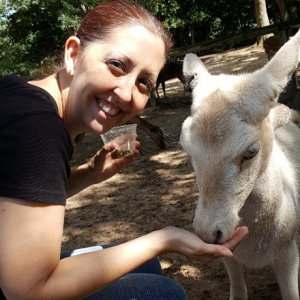 Kera has been a member of the CLGTC staff since August 2017. She previously worked at a Pediatric office for just shy of 16 years. Kera works with our Tot, Pre-school and Kindergym classes. She also runs our Parents Night Out program. She is a mother to two children. Cathy Started gymnastics at the age of 5 and entered the Olympic Developmental Program at the age of 8. Competed for the National team until the age of 14 when sustaining a competition ending injury. She has been coaching for 46 years. Cathy has been a member of the CLGTC staff on and off since 2004. 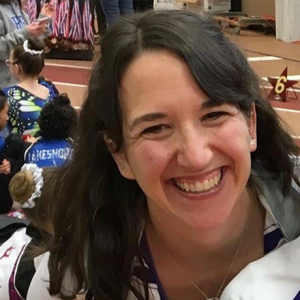 Cathy has been the program director for multiple gymnastics programs throughout the Midwest. She has a B.S. from the University of Illinois in Sports Medicine/Athletic Training and a M.A. in Program Development/Curriculum Design. 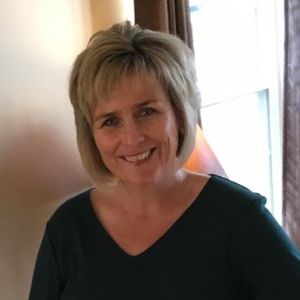 Cathy is a Certified Strength and Conditioning Specialist with the National Strength and Conditioning Association and a Certified Pilates Instructor and owner of Pilates of Woodstock. Cathy works with our Pre-Team. 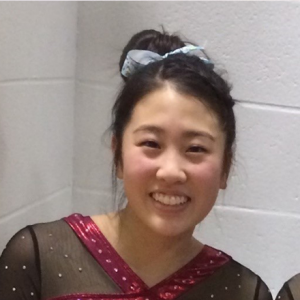 Maddy Kim has been practicing at CLGTC since she was 4 years old and is currently on the club team. She also competes for the Prairie Ridge Co-op High School gymnastics team in which she has won two team state championships and one individual uneven bars title. She has been a member of the CLGTC staff since 2016. Maddy works with our Recreational Program. Karen was originally from Long Island N.Y. She was a gymnast all through school, and her favorite event was the uneven bars. She attended Hofstra University, on Long Island, where she got her teaching degree. 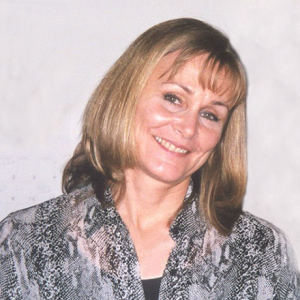 Karen has been a member of the CLGTC coaching staff since 1992. Karen works with our Recreational program and Open Gym. Alyssa graduated from Harry D. Jacobs High School in 2017. She is currently a student at Elgin Community College studying to become a Physical Therapy Assistant to prepare her to eventually be a Physical Therapist. She was a former gymnast and cheerleader. She cheered throughout middle school and one year in high school. 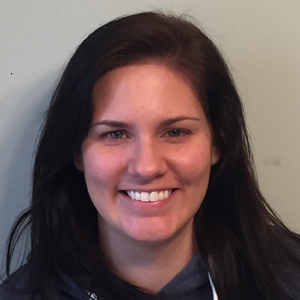 Alyssa has been coaching gymnastics and tumbling for 2 ½ years and has been a member of the CLGTC staff since August of 2017. Alyssa works with our Pre-school and Recreational Program. Linda has been a member of the CLGTC staff since 2017. She is a mother to three children, her two daughters are on our Optional Team. Linda is a former teacher. She is a member of our office staff. 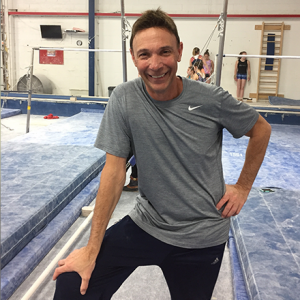 Shawn has 19 years of experience coaching high school and club gymnastics. He has been a member of the CLGTC staff since 2015. Shawn completed his undergraduate at Western Illinois University with a major in Education. He attended graduate school at Roosevelt University and has a Masters in Teacher Leadership. Shawn received his Special Education certification from Northern Illinois University. His High School coaching experience includes: Addison Trail High School (Girls team - 1998-2002, Boys team - 1999-2002, Assistant Coach Team Accomplishments: 6th place State Team 2000-2001 season, runner-up State Team 2001-2002 season), and New Trier High School - 2002-2013, Assistant Coach of the year 2011, 8th place State Team 2011-2012 season, 4th Place State Team 2012-2013 season). Shawn works with our Boys Team Program. Casey was a gymnast at UIC from 2012-2017. Casey was a volunteer coach at UIC, as well. He joined the CLGTC staff in January 2018. Casey has a degree from the University of Chicago. He is also a Freelance Videographer for various companies in Chicago and volunteer at UIC, coaching and shooting video for their social media accounts. Casey is our Head Boys Coach.